London imported our own Swede for a new Scandi-style thriller, with a twist. 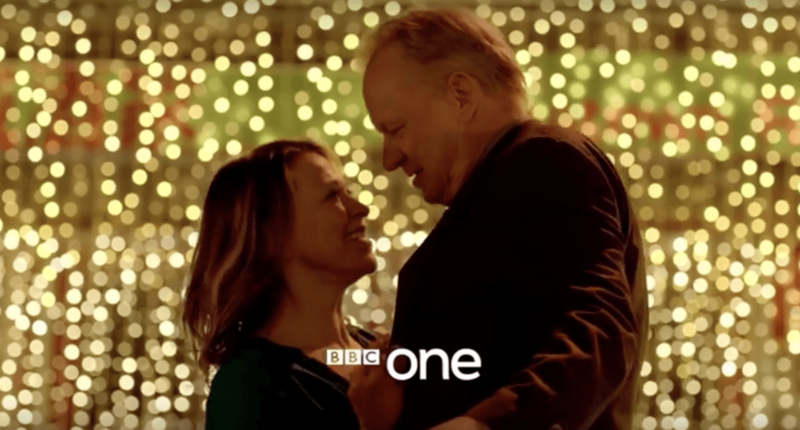 Stellan Skarsgård makes his way around no less than seven London boroughs as River, the grief-stricken detective who is haunted by murder victims. The BBC1 drama, called River, starts tonight. Here’s the trailer. Even River’s cop partner, joshing and laughing with him, is a figment of his broken mind, another victim whose case he is investigating. DS Jackie “Stevie” Stevenson is played Nicola Walker, currently also starring as a police detective in Unforgotten on ITV. And the script is by Abi Morgan, whose acclaimed film Suffragette opened just this week. River and his ghosts traverse Redbridge, Newham, Lewisham, Islington, Southwark, Lambeth and Camden, solving crimes. Among them is Dr Thomas Cream, a real serial killer in the 19th-Century known as the Lambeth Poisoner, quoting Plato and taunting River. Making donations to Lambeth’s Mursell Estate residents, the production filmed a chase across the estate, that leads to a character jumping out a window and landing on a car. In Islington, River and Stevie dance outside the Memsaab restaurant on Westbourne Road. Stevie has been shot dead outside the restaurant, from a passing car. The dreamy dance sequence was rehearsed at New River College in Lough Road. Lellers Car Valeting on Clerkenwell Road is turned into a fast food drive-thru, favoured by River and Stevie; and CCTV footage was filmed at Finsbury Library. A church meeting was shot at All Saints in Camden’s Carnegie Street. Southwark welcomed filming in Southwark Park, along the riverfront, inside Shakespeare’s Globe, Millennium Bridge, and along Mandela Way. You’ll see The Exchange shopping centre in Redbridge. In Newham, there’s a car sequence along Lower Lear Crossing, and on the DLR platform at Stratford International. And a thrilling chase scene races through Deptford Car Breakers in Lewisham’s Victoria Wharf. FilmFixer director Andrew Pavord describes London as “looking its moody best” in the new drama, saying, “Interspersing period London with modern locations, filming what is real and imagined, highlights the diversity of our city scape.